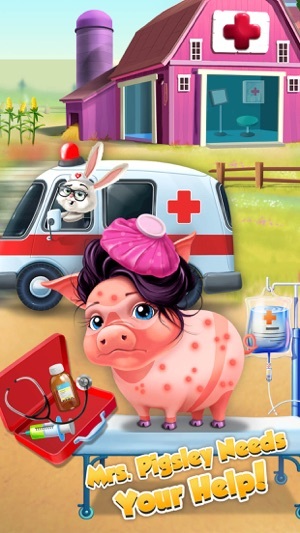 Farm Animals Hospital needs a new doctor! 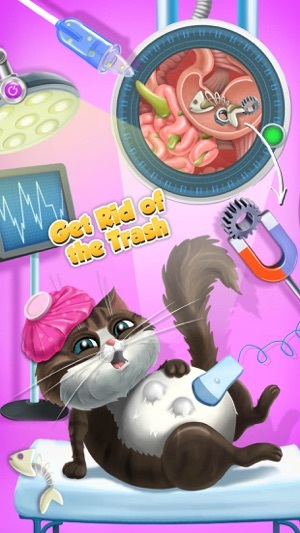 Do you have what it takes to become the best pet vet? 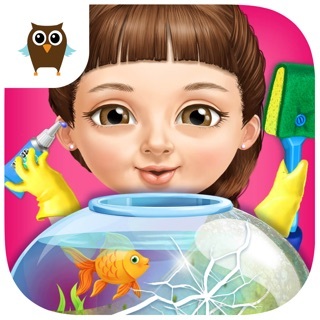 Get your doctor tools and play super fun animal games for girls and boys. Treat seven farm animals: a cat, dog, pig, cow, donkey, rooster and new patient bunny! 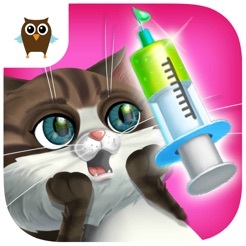 Play educational games for kids with children favorite farm animals in your own pet vet clinic! 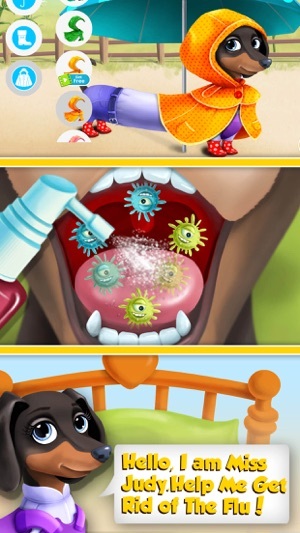 Become a doctor with exciting animal care games for kids. Treat the flu, sunburn, tummy ache and red eyes. Fix the teeth in the dentist office and try to find a cure for a broken heart. 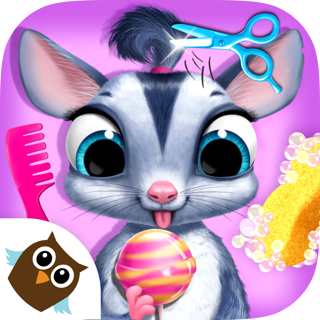 Enjoy the best pet doctor games for children, help the animals get well and learn how to stay healthy! · Treat and learn about 7 farm animals: a cat, dog, pig, cow, donkey, rooster and bunny! 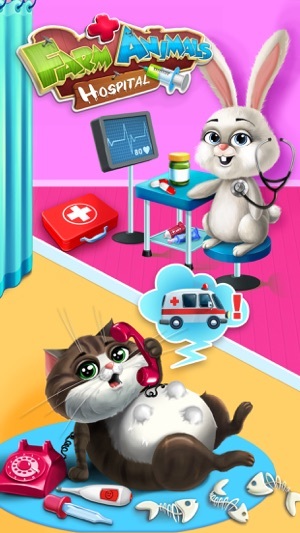 · Become the best animal doctor with new animal hospital games for kids! · Carlo the cat ate too much fish, X-ray his stomach and make the tummy pain go away! · Miss Judy the dachshund has terrible flu, help her get well and dress up with warm clothes! · Mrs. Pigsley suffers from sunburn, give her skin spa treatments and teach about sunscreen! · Be the best eye doctor, treat red eyes for Miss Violet the cow and pick beautiful glasses! 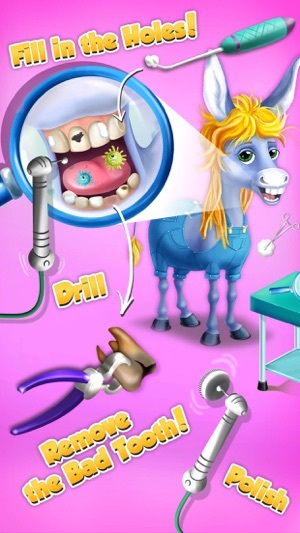 · Rush to the dentist office where Billy the donkey is waiting and fix the teeth! · Heal Gary the rooster, take care of broken feathers and make him strong again! · Examine Benny's heart, diagnose love and get him ready for the date with bunny Daisy! · Help bunny Daisy feed the farm animals and learn about healthy snacks! 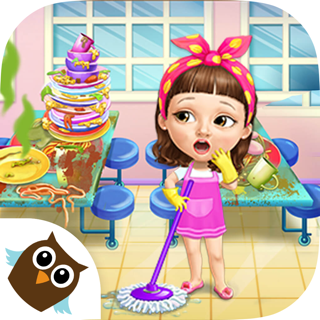 · Collect all flowers and design your own flower garden! · Check the coin tree every day and collect bonus coins! 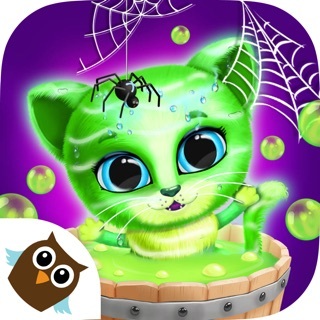 · Watch super fun videos for kids and earn even more coins! 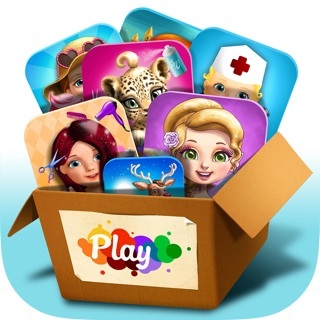 You can play Skin Care, Eye Clinic, Dental Office, Dress Up, Coin Tree and Flower Garden mini games for free. You can purchase separate mini games (Healthy Snacks, Broken Heart, Flu Treatment, Tummy Clinic, Fighter’s Clinic) or the full game version with no ads. This would be an even better app if you guys unlock all the activities, then it would be more fun! The free version is pretty good but if you try to buy the rest ($4.99 for all the different animals) nothing downloads, the money is taken out but you get nothing, after emailing them and hoping they would resolve this all I got was “sorry for the inconvenience”. If you emailed support@tutotoons.com, I believe my colleagues have already advised you to reboot your device and reinstall the app. If that didn't help, there is hardly anything we can do. Unfortunately, we can't solve all the issues as they are not necessarily coming from our side. Please note that you can always request a refund from iTunes. If you have any further questions, don't hesitate to write to support@tutotoons.com. Have a nice day! Hi, Renny, thank you for such a great feedback! We are very happy that your kid loves the game.